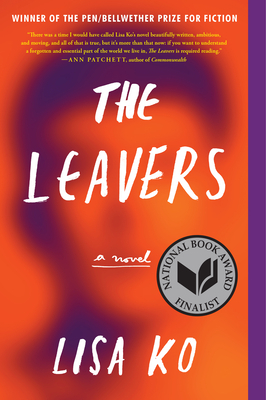 "Courageous, sensitive, and perfectly of this moment: The Leavers is everything I could hope for in a winner of the Bellwether Prize." "A rich and sensitive portrait of lives lived across borders, cultures, and languages. . . one of the most engaging, deeply probing, and beautiful books I have read this year." "A moving mother/son story and welcome contribution to immigrant literature. In writing about Polly and her son Deming, Ko captures one family's unique experience of becoming American while also exposing the loss of status, economic desperation, physical endangerment, and psychological grit of the undocumented worker as well as the alienation, double consciousness, mobility, and comparative access of the first generation."